SmartThings is a company (owned by Samsung) that connects and manages your smart things. Smart lights. Smart sensors. Smart alarms. Whatever. Connecting them to the SmartThings Hub allows you to control them from your smart phone, even if you're not at home. After teasing a new model earlier this year, SmartThings announced today that you can now place a pre-order to claim your own. Your options are the SmartThings site, Amazon, and Samsung.com. It will cost you $100 wherever you go. What does the new Hub offer? 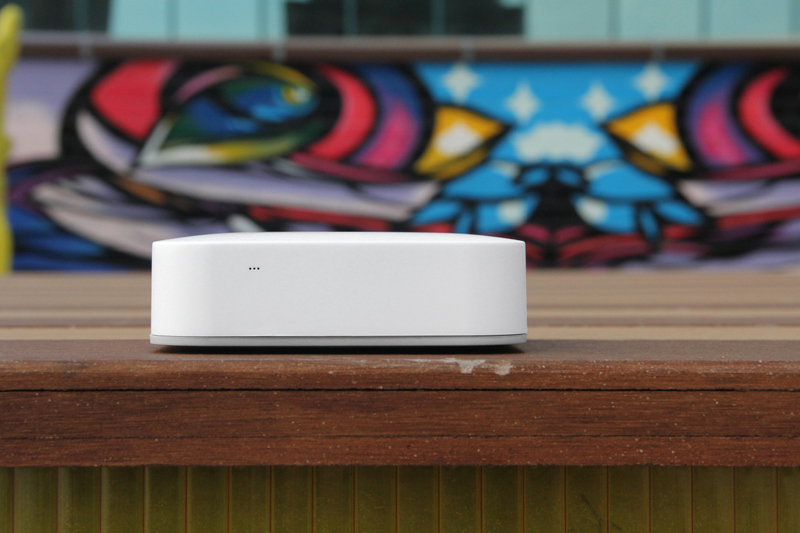 SmartThings hasn't provided the final details yet, but it previously mentioned the goal of transferring some of the computing that currently happens in the cloud onto local hardware. This way you can continue to control your ZigBee, Z-Wave, and LAN-connected smart gadgets when the Internet is down. There will also be a backup battery that allows certain automations to continue in the event of a power outrage. Not to mention, performing tasks locally will also provide faster response times. The new Hub will become available in early September. Look for an updated mobile app to roll out between now and then.